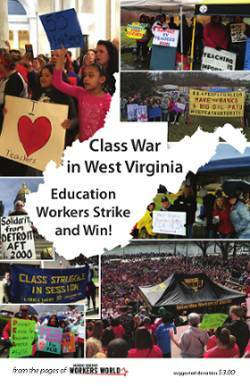 Home » Workers World Editorials » ¡Hugo Chávez, presente! 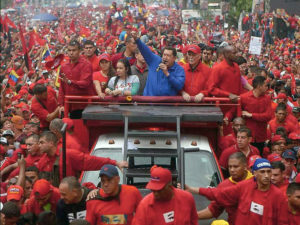 Chávez campaigning in Caracas, Venezuela, October 2012. Workers World Party joins the Venezuelan people in grief over the loss of the great revolutionary leader Hugo Chávez. 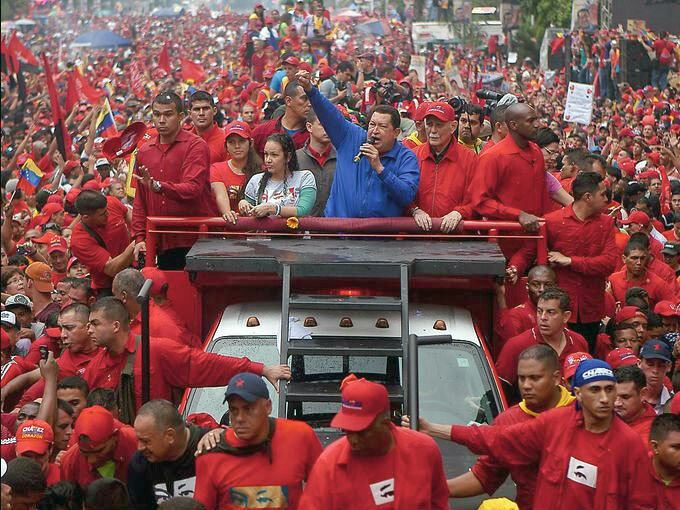 The death of a larger-than-life leader like Chávez is hard to take. Millions around the world will deeply mourn the loss of his vibrant personality, his warm embrace of the ordinary people, his courage and resoluteness at critical moments — like the attempted coup in 2002, from which he emerged even stronger with the militant support of the masses of people. Also sorely missed will be his creative optimism expressed through countless projects that aim to unite the people of Latin America in a socialist future, based on cooperation and the equitable sharing of their abundant resources. “One leader is not the revolution. It is the masses and the process of revolution that create leaders, and not the other way around. Leaders, however, can steer the revolution, coordinate resources and speed it up. Leaders are also an important part of revolutions when they are the product of the masses’ aspiration. “Chávez is such a leader. He has been able to gather and concentrate the desire of the Venezuelan people for social justice and equality and turn it into action. Under his presidency, the government has lifted the lives of all Venezuelans, dedicating an impressive 43.2 percent of the budget to social programs. Illiteracy is now nonexistent in Venezuela and poverty has been reduced. “Along with improving the quality of life of millions of people, Chávez’s government has shown that Simón Bolívar’s dream of regional integration could be a reality. Together with revolutionary Cuba, Venezuela impelled the formation of anti-imperialist regional associations like the Bolivarian Alliance for the Americas (ALBA). These associations have been crucial for the improvement and cohesion of the region, including other Caribbean nations. This is not just a time to mourn his untimely death from cancer. It is a time to express firm support for Venezuela’s Bolivarian Revolution. And a time to be more vigilant against the schemes being hatched by U.S. imperialism and its reactionary agents inside Venezuela. The imperialists have tried to undermine and overthrow Chávez, calling their goal “democracy,” even though he had the undisputed confidence of the majority of his people, as expressed in more than a dozen elections held during his tenure. Now they are scrambling to take advantage of this great leader’s death. But Chávez himself prepared for this moment by designing a Plan of Action for the Advancement of the Revolution and naming Vice President Nicolás Maduro to succeed him. We are confident that the Bolivarian Revolution will overcome this cruel twist of fate, and the Venezuelan people will rally, even more united than before, behind their leaders to advance the struggle toward a society free of classes and imperial oppression. Progressives in the United States must also put our shoulder to the wheel and give our undivided support to Venezuela in order to prevent imperialism from sabotaging the Bolivarian project to unite the popular, anti-imperialist struggles throughout Latin America.